Hiew V.Y. from beautiful Kota Kinabalu in Malyasia wrote this winning #SecurityTip during Round 2 of the AVAST #SecurityTip contest. On steps I take personally, don't ever click and access anything that I'm not certain about, and disbelief any vaguely unbelievable things. Don’t miss your opportunity to share your knowledge and experience with others in Round 3 of the #SecurityTip contest. This week’s question is all about social media. Click here to go directly to the entry form. When you answer the question, remember to include #SecurityTip, and after you publish it, ask your friends to vote by using the links in the app. 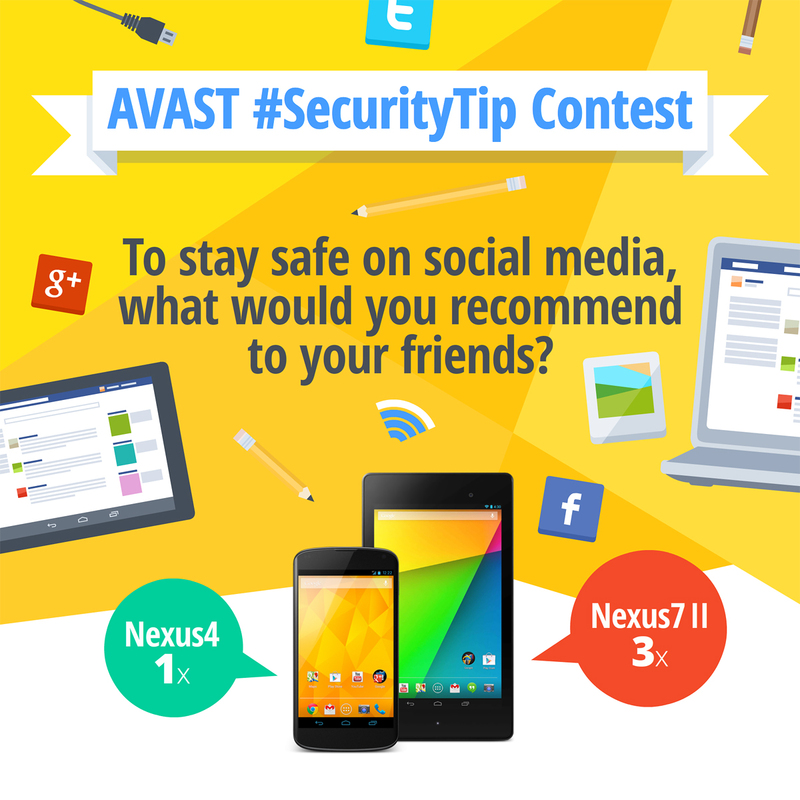 The top 5 most voted tips for the week will receive a 1-year license for avast! Internet Security. Our favorite tip will win a brand new Nexus 7 tablet.